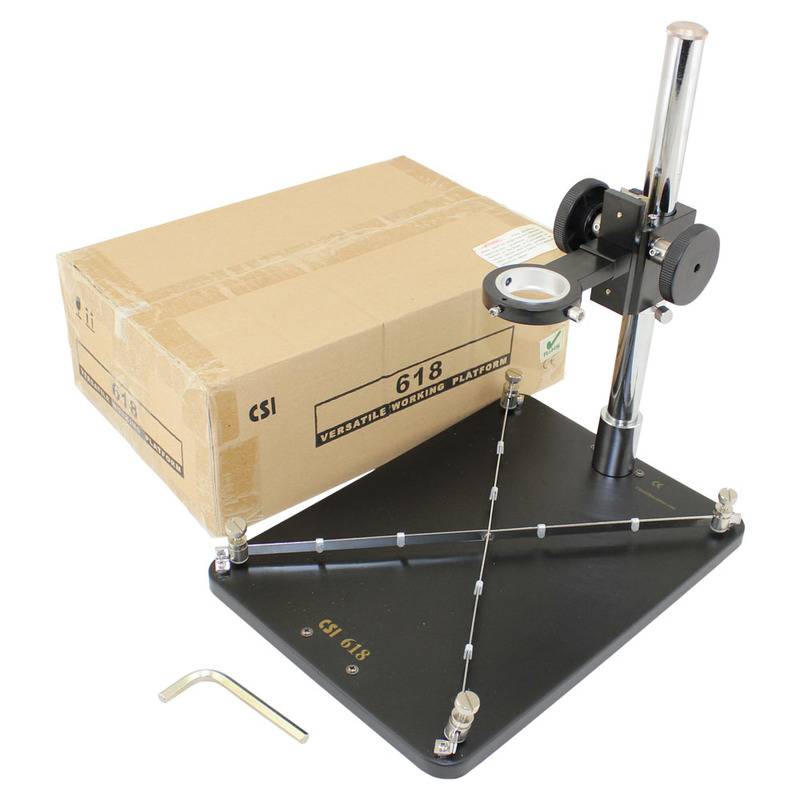 The CSI618 offers you a large 10” x 14” working space to hold your project, and a vertical holder to place your heat source. 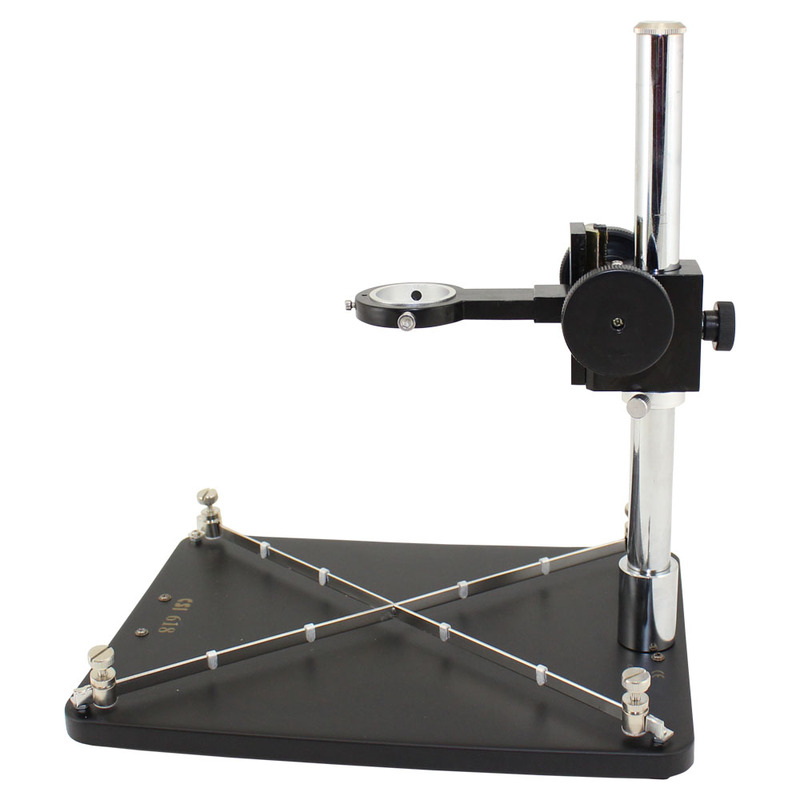 There is 12” of total vertical height adjustment, and once the head is locked in place, it can be fine adjusted up to 4”. 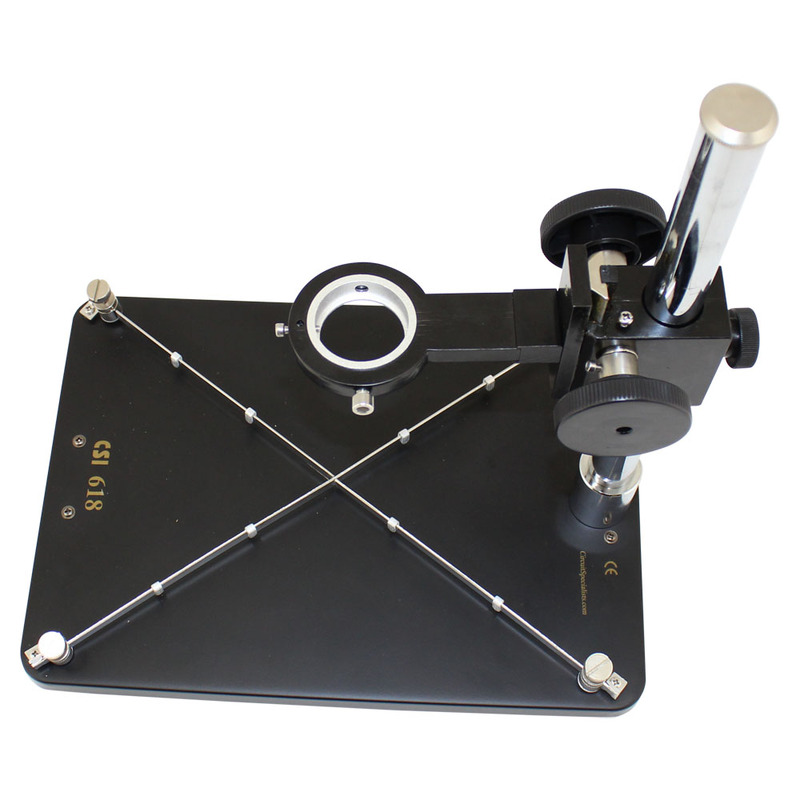 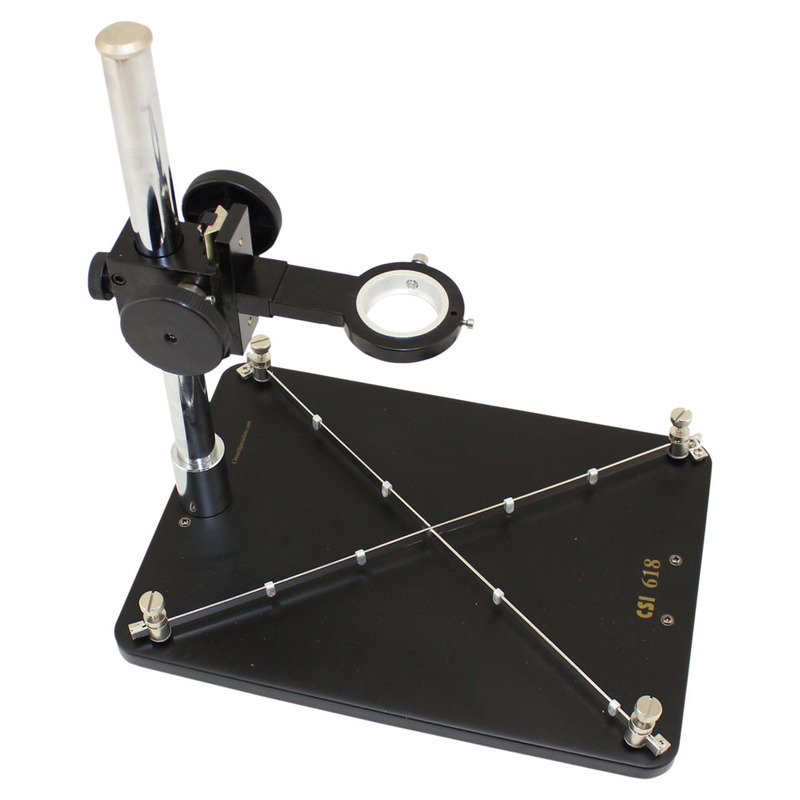 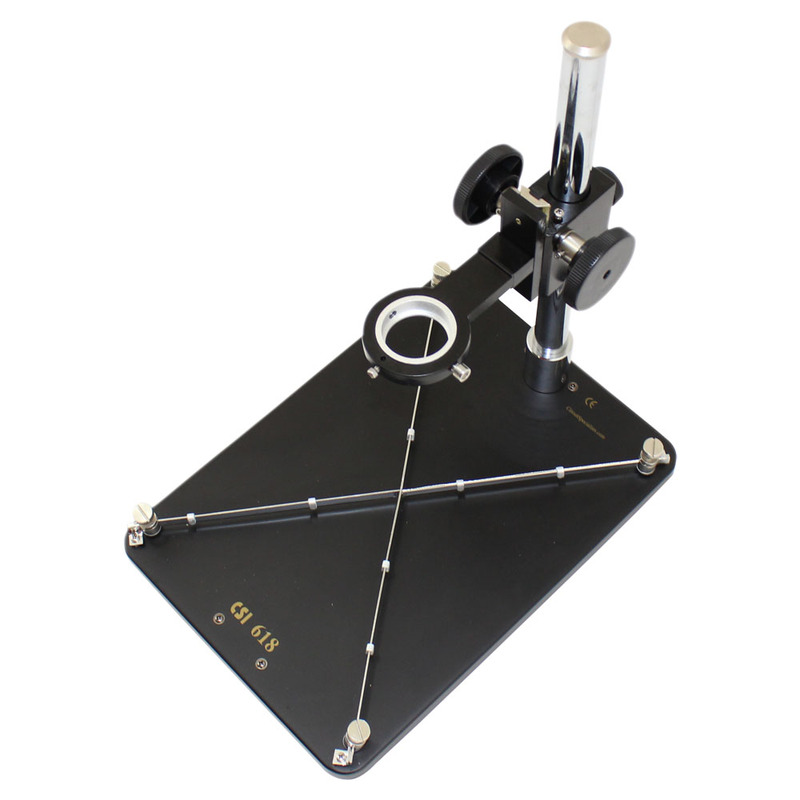 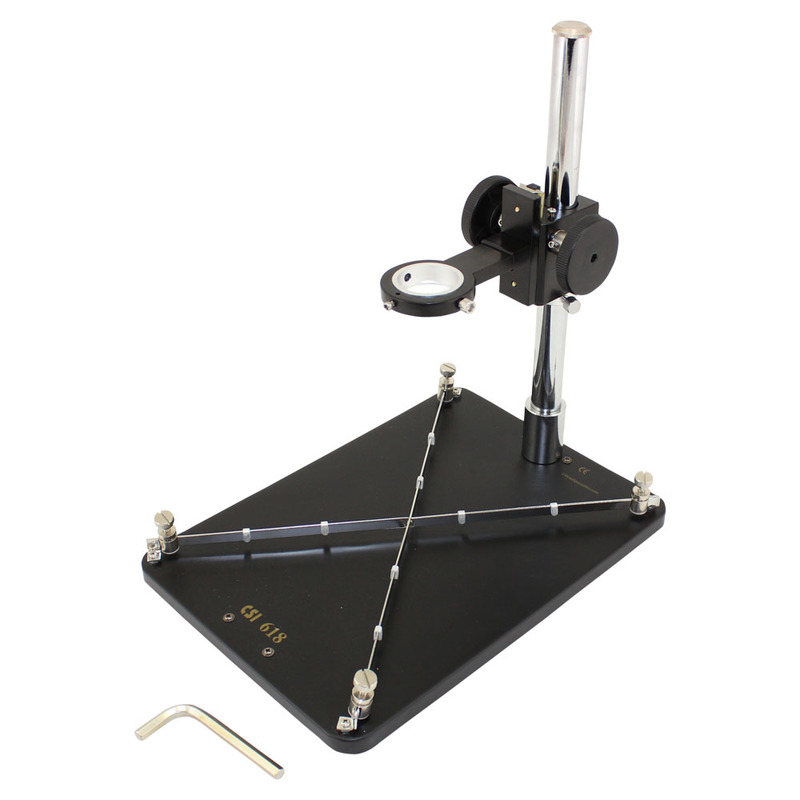 Simply rotate the fine adjustment wheel for precise up and down movement which is suitable when you have a difficult rework or solder project that requires you to hold a hot air gun stable at a precise distance allowing your free hands to manipulate the project, or when you simply need to apply a constant heat source in one location. 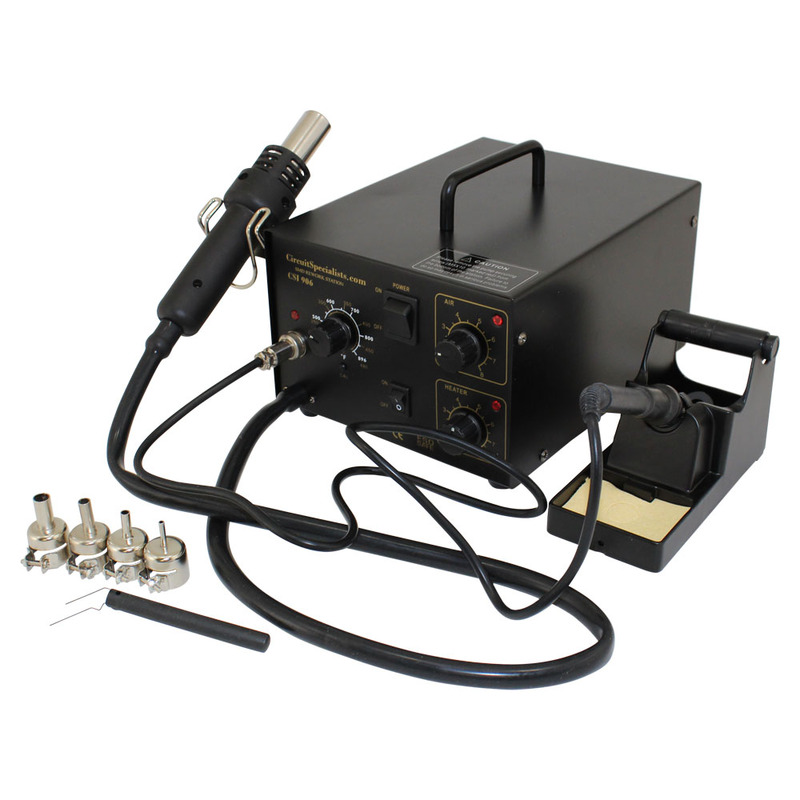 By being able to direct the heat with more precision, your soldering jobs will come out much cleaner! 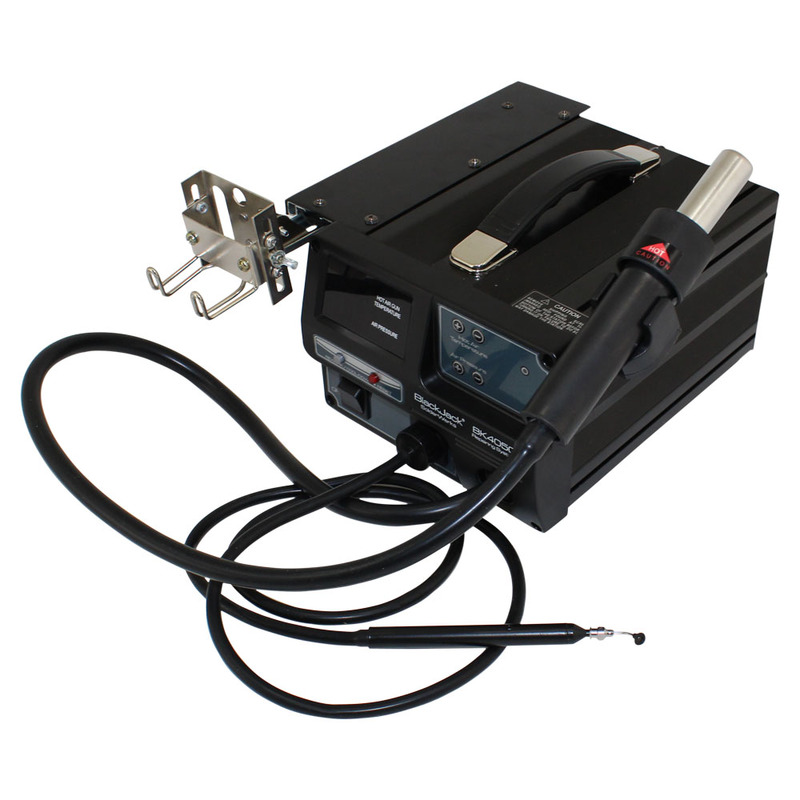 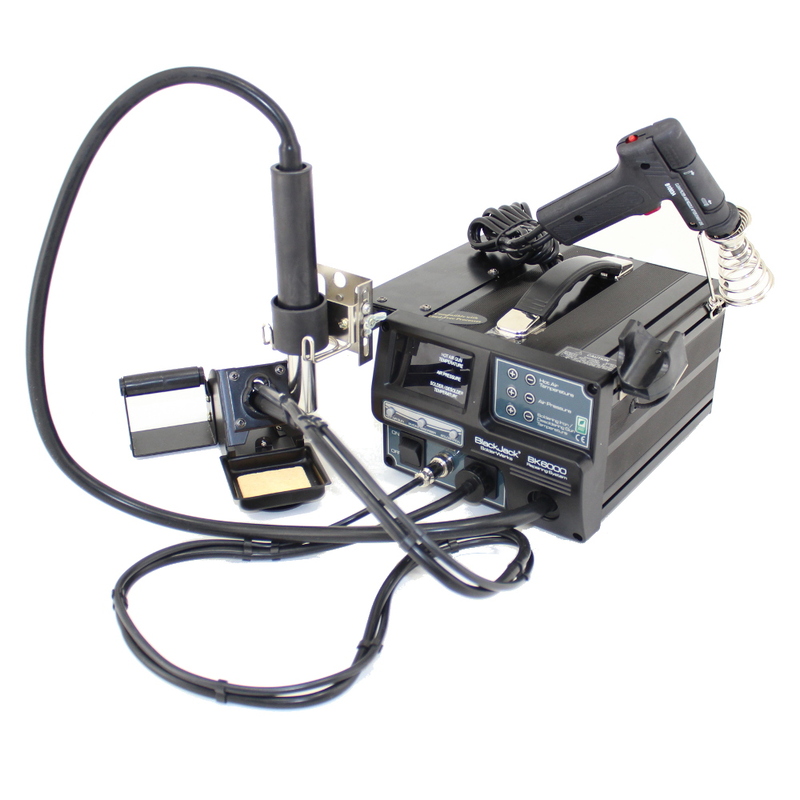 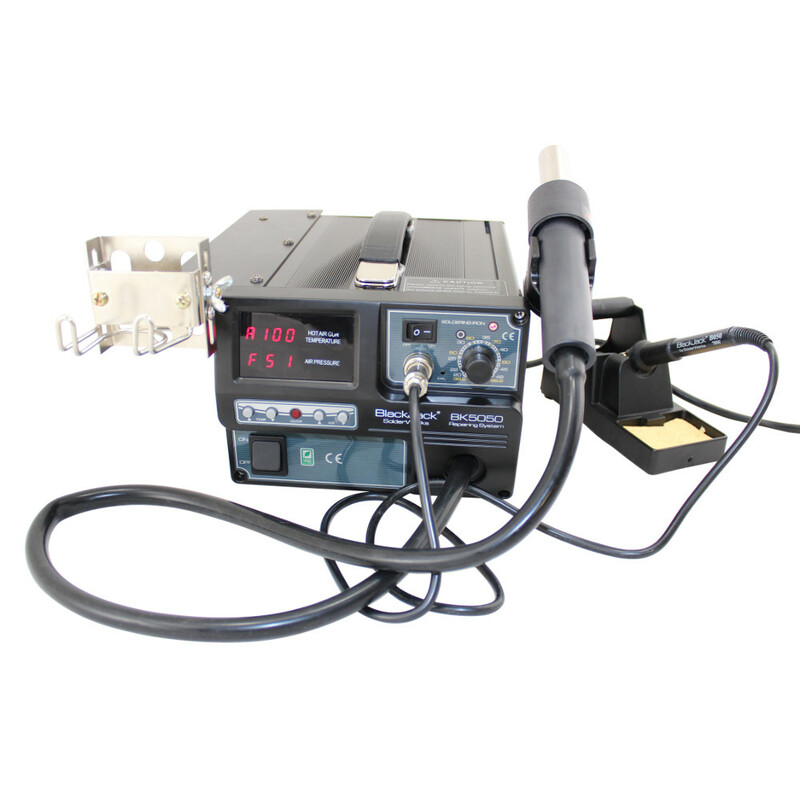 The CSI618 is designed to hold the hot air guns on the following hot air rework units that we stock. 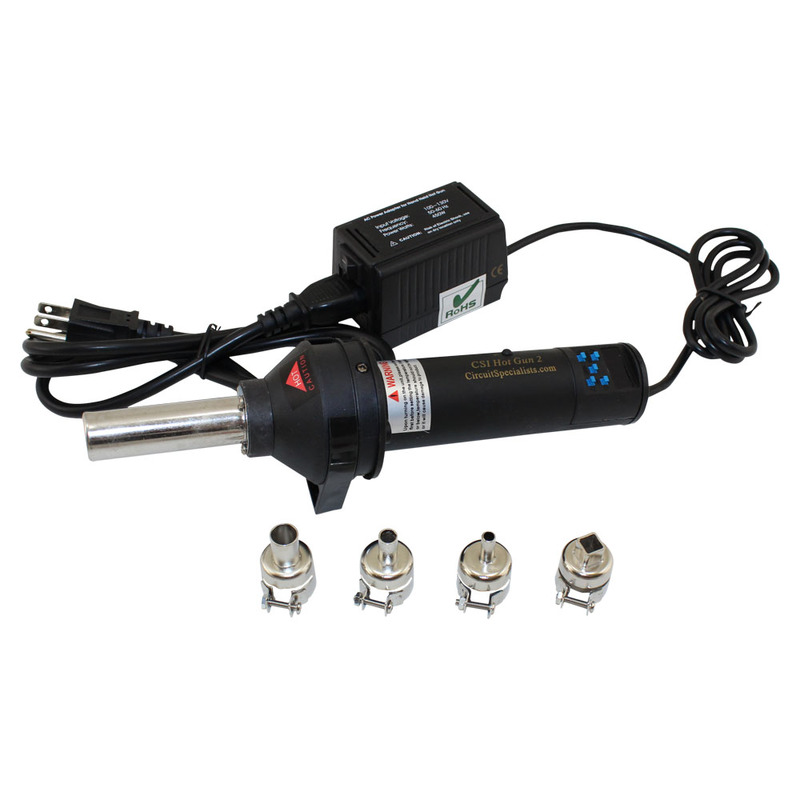 The unit will also work with other units from other manufacturers as long as the heat gun is similar in design to that found on the above units.